Can you spot the snake in this photo? 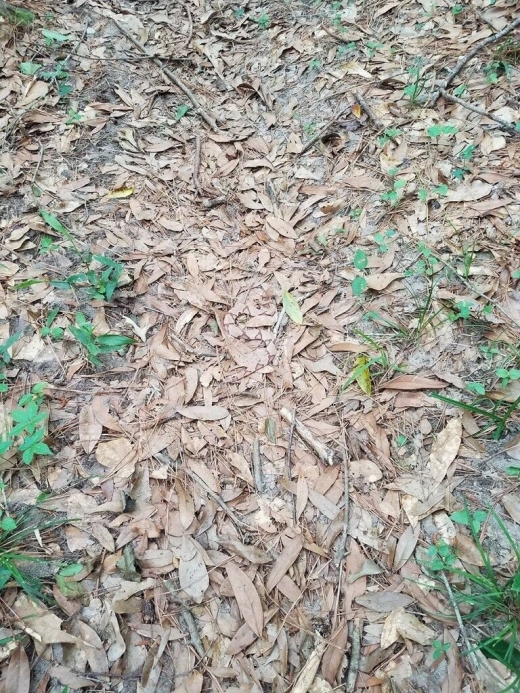 Florida snake biologist Helen aka @SssnakeySci shares this photo she received, which features a Copperhead snake lurking around in the woods. Can you see it? Received this from a fellow HERper this morning. No caption needed, the task was implied: "can you spot the snake?" For the ones who can't, Helen was kind enough to leave a hint.